Devices will have access to "a smart battery management system that uses machine learning to anticipate which apps you'll need next." The battery power for most smartphones is spent updating apps that may not be running, so the technology aims to learn your habits and shelve apps you may not use. They've done something similar with brightness settings on smartphones. "Adaptive Brightness" will allow phones to learn how you set your brightness settings and replicate it depending on the light. Smartphone users have complained for years about the battery lives of devices and their tendency to degrade quickly. It's common to look at your smartphone and realize that all the apps you've left open have sucked away the battery life. DeepMind for Google believes their AI can fix this for Android users by anticipating what app you'll use next. 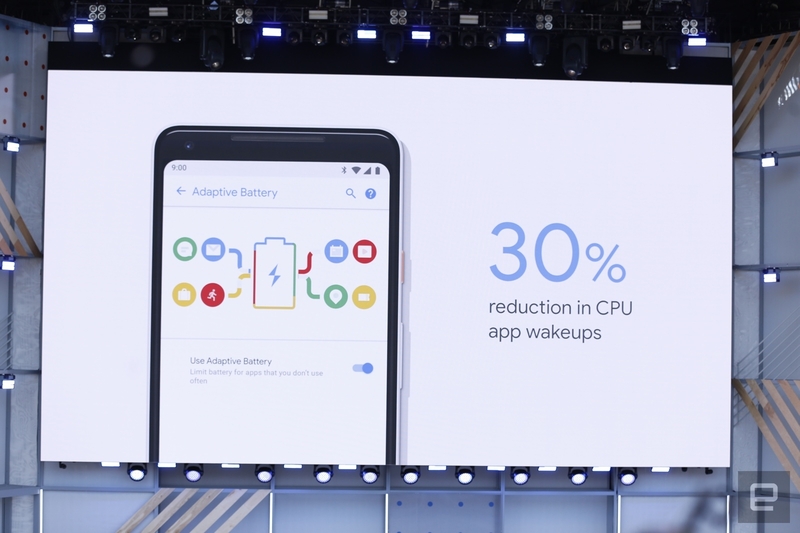 Later this year, devices running Android P will have access to "a smart battery management system that uses machine learning to anticipate which apps you'll need next," according to DeepMind. The battery power for most smartphones is spent on updating apps that may not even be running, so the technology aims to learn your habits shelve apps you may not normally use. "We've partnered with the Android team to develop a feature called Adaptive Battery that uses a deep convolutional neural net to predict which apps you'll use in the next few hours and which you probably won't use until later," DeepMind's James Smith, Simon Rosen, and Chris Gamble wrote in a blog post. "Using that knowledge, Android adapts to your usage patterns so that it only spends battery power on the apps you'll need," they wrote in the post. "The initial results have been very promising, and we've seen a significant reduction in background activity in our internal testing." Google also wants to anticipate what apps you will use next in an effort to speed up—and limit—the time spent using different apps. Through "App Actions," Google will use your actions to predict the next app you'll use. Problems with degrading batteries are a constant complaint of smartphone users and environmentalists alike, who say smartphone makers are intentionally shortening the lives of devices to increase yearly sales. Owners of Sony Xperia XZ2, Xiaomi Mi Mix 2S, Nokia 7 Plus, Oppo R15 Pro, Vivo X21UD and X21, and Essential PH‑1 will have access to Adaptive Battery first, the post said. This is good news for business users who often multitask and need to preserve their battery as much as possible. But DeepMind and Android did not stop at app management. They've also done something similar with brightness settings on smartphones. "Adaptive Brightness" will allow Android P phones to learn how you set your brightness settings and replicate it in different settings depending on the light. "The feature now learns how you set the brightness slider for the ambient light of your surroundings, and then adjusts the screen brightness according to your preferences. During our internal testing, a considerable proportion of Android P users made fewer manual brightness adjustments," they wrote in the post. DeepMind has worked with Google to decrease their energy use at data centers across the world and works on other AI-related projects as well. Their WaveNet software is now used in part to power the voice of Google Assistant. DeepMind and Android have partnered to save your smartphone's battery life by anticipating what apps you'll use next using AI. They also plan to use the same technology to track how you set your brightness settings and do it for you.